For a second year, Portland oyster lovers, make Shuck Portland an incredible success! Through slurping, eating, drinking and purchase of Shuck merchandise and raffle tickets more than $10,000 was raised! The funds will support TWC’s work with The Confederated Tribes of Siletz Indians and Oregon Oysters Farms to improve Poole Slough estuary habitat that supports native oyster reefs and growth. WEBS will grow their education work in Netarts Bay. Shuck Portland, the brainchild of Maylin Chavez of Olympia Oyster Bar and Lyf Gildersleeve of Flying Fish Co., is about raising awareness of the growing love of oysters in the culinary industry and their essential part of the ocean ecosystem, “We have this amazing bounty on the West Coast and we want to bring attention to it,” shares Chavez. They turned to friends Jaret Foster, Tournant, and seasoned event producer Natalia Toral, and together founded Shuck Portland in 2018. 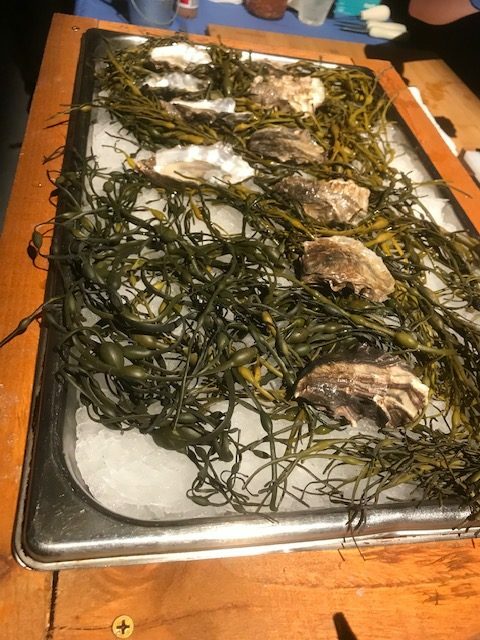 Pacific Oysters, the ones we all love to eat are not native to the Northwest. Our favorite bivalve has been cultivated in Yaquina and Netarts estuaries since the 1920’s, after our native oysters were decimated almost to extinction. Pacific oysters were brought here from Japan to increase commercial oyster production. The good news is our small Olympia Oyster is resilient and hardy. Over the past ten years, we have seen a rebound in the population of native oysters in Yaquina and Netarts estuaries. In 2000, The MidCoast Watershed Council invited The Wetlands Conservancy to be a partner in implementing their Yaquina Estuarine Wetland Prioritizations. 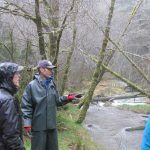 Over the next seven years, The Wetlands Conservancy explored the Lower Yaquina watershed, developed community partners, including Xin Liu of Oregon Oyster Farm. In 2007, The Wetlands Conservancy purchased 310 acres in MacCaffery and Poole Slough in the Lower Yaquina with goals of protecting the existing low and high marsh habitat and managing the forest lands toward mature forest conditions. Over the past ten years an additional 100 acres have been added to the preserve. Watch for details on an early June TWC and WEBS field trip and work day in Netarts Bay.